Insuring a listed building needs one very special consideration: If disaster strikes you will be required by law to reinstate using traditional materials and methods matching the original, irrespective of cost. It is therefore vital that your chosen insurer understands the implications of this and is willing to cover the full cost. General insurance providers may not cover these and will only provide enough cover for a minimal rebuild, leaving you to finance the shortfall. Cover for every grade of a listed building. Cover for listed properties undergoing renovation, repair or conversion. Protection from unauthorised work carried out by previous owners. In the event of damage to your property, cover for the use of required skills and materials that meet the expectations of your Conservation Officer. Up to 3 years alternative accommodation. The option to choose your own skilled tradesmen for any work. Cover for listed properties used for holiday homes, rentals and lets. 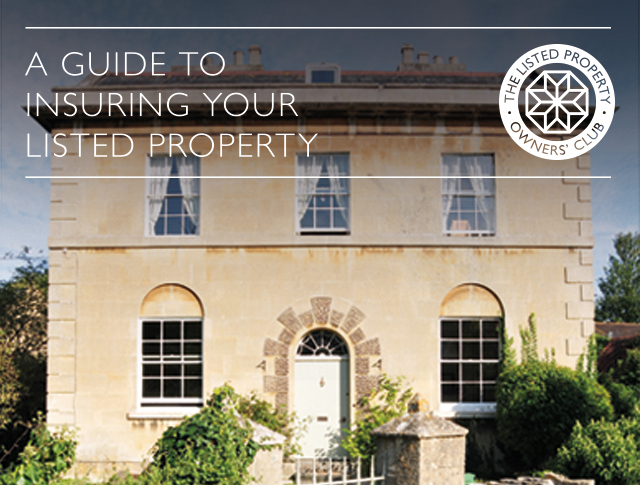 Expert staff with a proper understanding of listed properties. Assistance in obtaining correct rebuild costs from a qualified surveyor. It is so important to ensure you get the correct cover for your listed building. To speak with a specialist call the Club today on 01795 844939 and we will pass you onto the insurance team. and we will pass you onto the insurance team.